The Mall of America can be a sanctuary in the middle of a Minnesota winter day. The stores are built around a full-fledged kiddie amusement park, complete with a roller coaster, water ride and Ferris wheel. Since I work nearby, I sometimes like to visit the park over lunch to take in the warmth, sounds of children at play, and light filtering in through the skylights above. 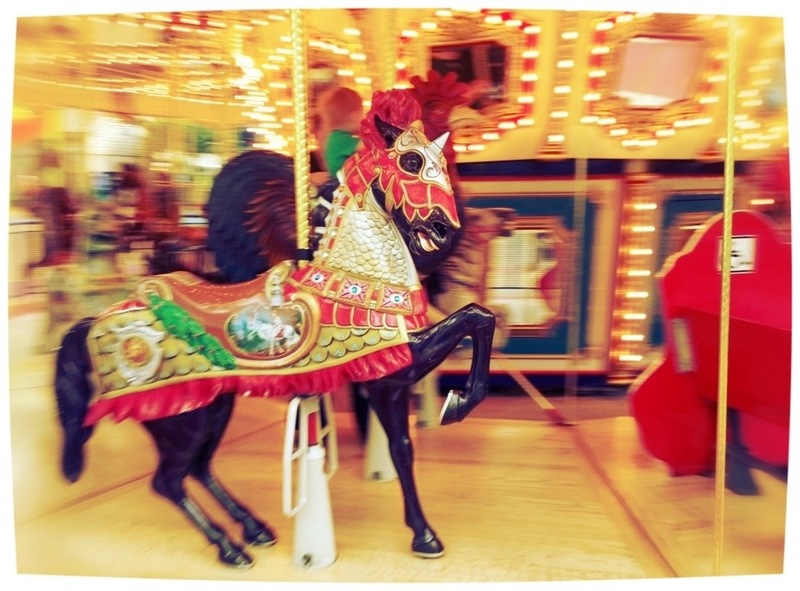 This carousel is a favorite, and day eight of my Photo 365 project. This entry was posted in Photography and tagged Amusement park, Mall of America, Minnesota, Photo 365. Bookmark the permalink.